Laying of wreaths and flowers is a long-standing tradition on ANZAC Day. April 25th is considered one of the most significant days on the Australian calendar, marking the anniversary of Australian soldiers landing on the shores of Gallipoli in 1915. ANZAC Day is a time to remember those who sacrificed their lives to protect the freedom of generations to come. Rosemary is found growing wild on the Gallipoli peninsula, rosemary is popular on Anzac Day. Since ancient times this aromatic herb has been believed to have properties to help improve the memory and as a result, it became traditionally, sprigs of rosemary are worn on the lapel on ANZAC Day and sometimes on Remembrance Day, and are usually handed out by Legacy and the RSL. 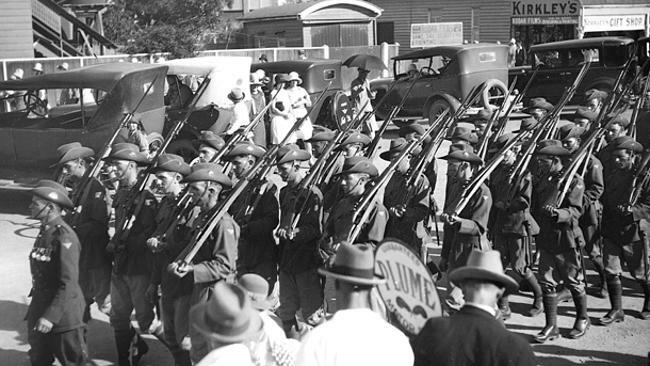 Marching soldiers in the Anzac Day parade, Nerang Street, Southport, Gold Coast, circa 1930s. 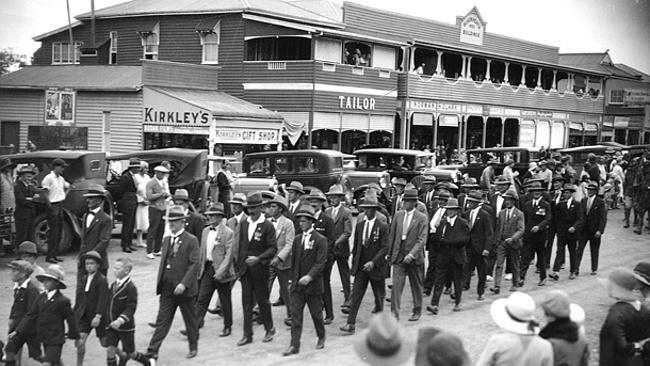 Anzac Day parade, Nerang Street, Southport, Gold Coast, circa 1930s.